← Merry Christmas! New calendar page and a fanvid! It’s been a whirlwind month so far. I hope you had a very happy Christmas Day. 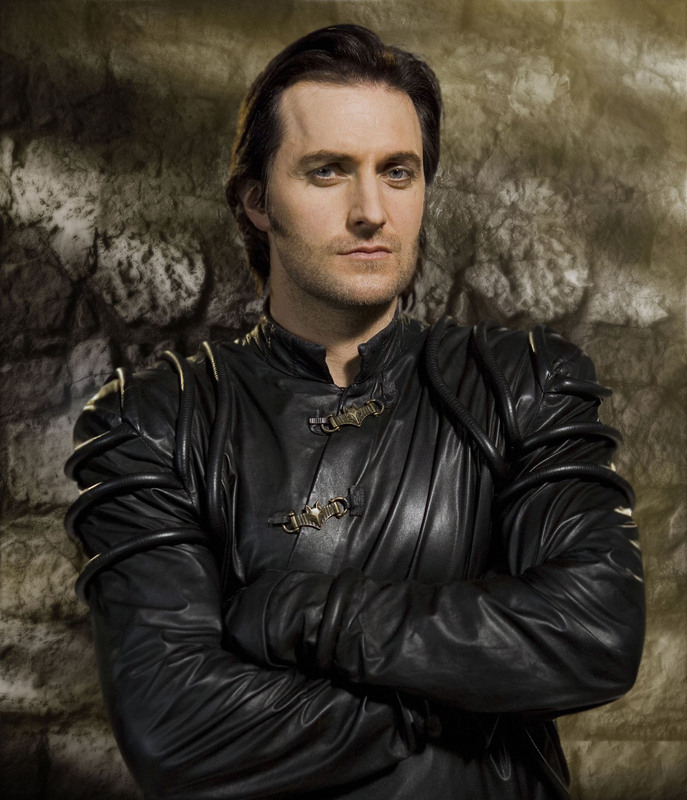 The festivities continue as we celebrate Richard Armitage as Sir Guy of Gisborne. Today’s Guy images were recommended by Tereza Tassuett. One of her pictures is below and another is on the calendar. Thanks very much for your participation, Tereza! You can click to enlarge the picture above and count Guy’s stubble. Here is your Sir Guy of Gisborne calendar updated to the 26th of December. If you missed the Richard Armitage Christmas video, you can watch it on yesterday’s blogpost. For an added bonus, since Chanukah continues through December 28, here’s a link to servetus’s blogpost which includes among other things the first and only Richard Armitage Chanukah fanvideo: http://meandrichard.wordpress.com. Hope you enjoy it. Have fun and I’ll see you tomorrow! This entry was posted in Calendar, Fan Videos, Graphics, richard armitage and tagged actor, calendar, fan videos, fanvideo, graphics, guy of gisborne, richard armitage, richardarmitagenet, richardarmitagenet.com, richardarmitagenetdotcom, robin hood, servetus. Bookmark the permalink. 17 Responses to Happy Boxing Day! I’m struggling to leave comments over last few days, grannies and aunts wanting to look at what I’m doing….keep saying it’s work related and not very interesting…I’ll never go to heaven….I couldn’t resist commenting on the above link though. Bye heck servetus I hope Richard dosen’t lose his Yorkshire accent…It’s perfect, a million times better than Russel Crowe’s in Robin Hood…check out RH3 one of the latter episodes the way he says ‘tunnel’ is just so so mmmmmmmm Thanks ‘B’ and servetus will have a proper read later when I’ve got rid of grannies???? @servetus: Thanks for such a fun video! Thanks for writing all this stuff that makes tech look easy. It’s a huge service! Thanks for the calendar update and the download link! So far, the dec calendar is perfect!!! Thanks Teresa for the picture of the day… I’m a slave (one more) of these eyes!!!! As in a few minutes I’ll be leaving for a New Year’s break and don’t know if I’ll have available net, I wish you all the best in 2012!!! I would suggest a poll. Which hairstyle do you prefer most among these two: the lazy lock on the forehead or the neatly combed, backward flock? My fave is the first one. Having Sir Guy with us in spirit for all these days of our December is such a sweetly wonderful treat! You are the Mistress of Media, the Gourmet of Gifs, the Vixen of Videos, and our very own Tech Goddess Divine! I would wish for you a restful January and 2012, but we have too much fun with your gifts to us. And we know that you have more exciting things planned. Just know, that we appreciate you and your talents to the GoGth degree! If my head wasn’t spinning already from all this RA loveliness it﻿ is now..loved it!! I’m wondering what delights are in store for New Year! Hi, Bcc,I´m very glad you have chosen a pic suggested by me to the Guy calendar . This was the the first one. Thank you for the video too. Thanks ladies, you have made great choices too. I loved each one it. Now… between us, is there a man more delicious than Guy of Gisborne ? Oh, My Guy !! ! (as Jeannie usually says). Carla, I agree with you regarding the Guy´s hair. If Richard knew that he gets much more handsome with long hair, he would never cut it. Sorry … but did I hear right anyone saying something about …. taking a break? NO, No you, Bcc, you can´t take a break .No totally. You captivated us and now are responsible for all us. Do not let us without your wonderful gifs, calendars , vids or what else more you can invent! Now we are dependent on you! But, we are good girls , we ´re going to let you take a few days of rest. OK! Hugs for all and see you! @Tereza: Thank you again for your participation! The choices for the screencaps were indeed splendid. 🙂 *HUGS* to you too! There’s no hiding ‘B’ …there’s only one place I can think of with no internet access and that’s Hobbiton…you lucky girl…you’re chilling out with that rowdy bunch of elves and hobbits aren’t you??? Don’t forget to take clay pipe, baccy and karaoki machine for joyful singalong…I know you will be visiting ye olde salon to look your best before you go but a little word of advise…they adore hairy feet in middle earth so go steady on the waxing….